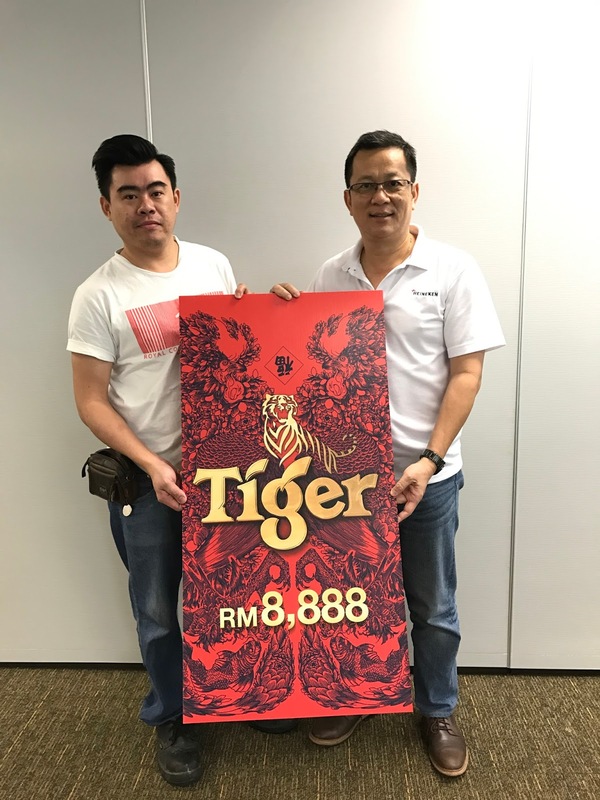 Launched late December, Tiger Beer’s Chinese New Year Campaign ‘Abundance of Prosperity’ has started to bring early new year blessing and joy to consumers nationwide. 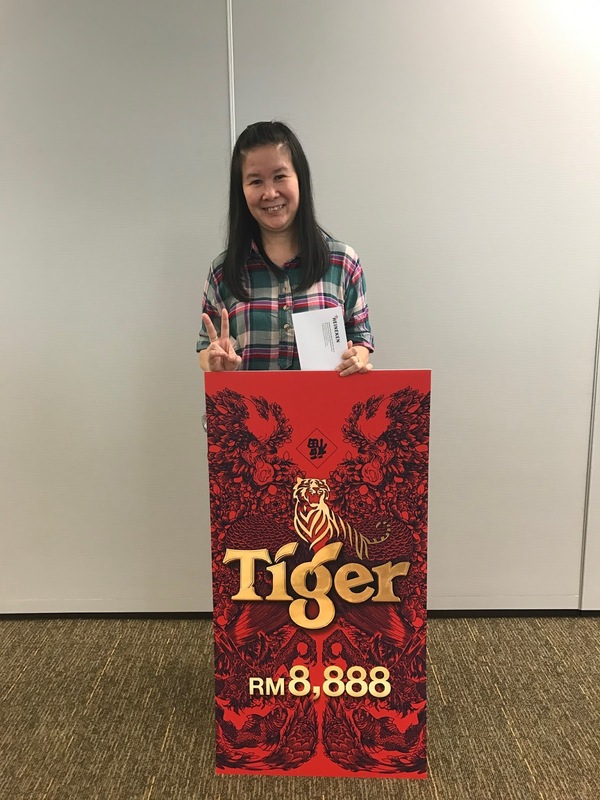 To date, seven consumers have claimed the big RM8,888 ang-pows, with 43 ang-pows still waiting for the lucky winners to grab until 15th February 2017. All consumers have to do is purchase any big bottle of Tiger Beer, Heineken Beer, Guinness Stout, or Anchor Beer in coffee shops, food courts, and restaurants, and check the bottle cap liners to see if they have the winning bottle cap liners. 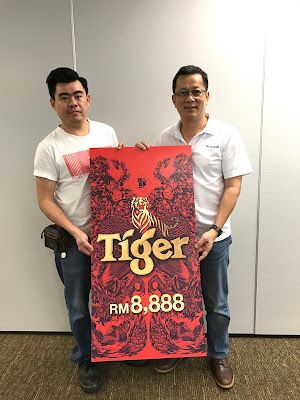 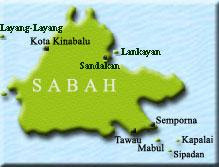 By the end of this campaign, Tiger Beer will have more than one million winners of prizes worth up to RM2 million in the form of cash ang-pows of RM8,888, RM2 rebates on beer purchases, and exclusive sets of playing cards. All consumers have to do is purchase any big bottle of Tiger Beer, Heineken Beer, Guinness Stout, or Anchor Beer in coffee shops, food courts, and restaurants, and check the bottle cap liners to see if they have the winning bottle cap liners. 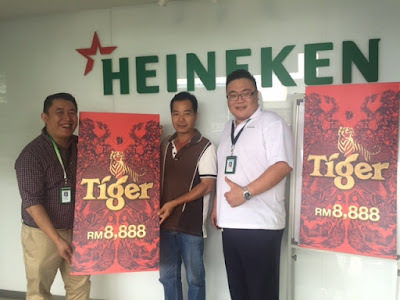 In addition, when purchasing two big bottles of Heineken Beer or Guinness Stout in participating outlets, consumers will be given a “Match and Win” scratch card for more chances to win big. Winning scratch cards, along with the correct answers to simple questions will entitle the consumer to a RM2 rebate on their next purchase of a big bottle of Heineken Beer or Guinness Stout.